[/av_heading] [av_textblock size=” font_color=” color=” admin_preview_bg=”] Background: Holmes Sackett is an agricultural consultancy business based in Wagga Wagga in southern NSW. Holmes Sackett provides consulting and benchmarking services to corporate and family farm asset owners and managers, the rural finance sector, government and industry bodies and the agricultural services sector. Holmes Sackett consultants have developed a unique and thorough understanding of the drivers of profitability in farm business. Their reporting of the key messages extracted from their analysis of their annual farm benchmarking results in their annual flagship publication AgInsights supports their recommendations. Their expertise generates value for clients via one on one consultancy, group consultancy, industry-driven project work, workshop content development and delivery and public speaking engagements and industry presentations. Experience/qualifications: John Francis is farm business management consultant with over ten years’ experience in agricultural consultancy and a further fifteen years’ experience in production agriculture (agronomy). 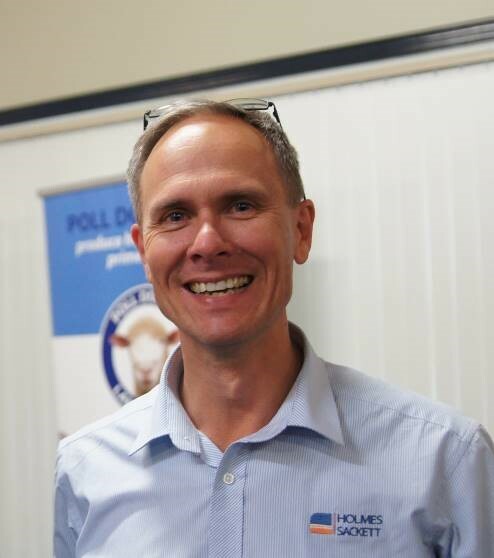 John holds a Bachelor of Applied Science (Agriculture) and a Certificate IV in workplace training and assessment. Industry skills/expertise: John has a background in production agronomy and livestock production. John is a competent business manager and has a proven understanding of the drivers of profitability in agriculture. John works at a strategic and tactical level with corporate and family farm asset owners and managers to improve productivity and profitability. John is also involved in a number of livestock industry projects and farm benchmarking grous. John is a co-author of AgInsights, an annual publication that summarizes the key messages delivered from the farm benchmarking. John is the NSW deliverer of the MLA Business Edge course and has recently developed a series of farm expansion workshops aimed at improving the financial skills of farm managers when acquiring additional farm land. John has a detail-oriented personality type with a proven ability to think critically, rationally and objectively. John is an equity shareholder and operational director in Holmes Sackett. John has developed and delivered a series of farm expansion workshops which have been delivered to over 600 participants from broadacre farming businesses across southern Australia. These include the “principles of profitable farm leasing” and “buying more farm land” workshops. The aim of the workshops is to improve the financial skills of farm managers and to increase awareness of the issues associated with leasing or expanding the farm area. Production assessment, farm business management, financial leverage, meeting bank needs, due diligence and risk management are covered in the course content.